PAL: Pet Adoption Location. A great little acronym for a very important program. 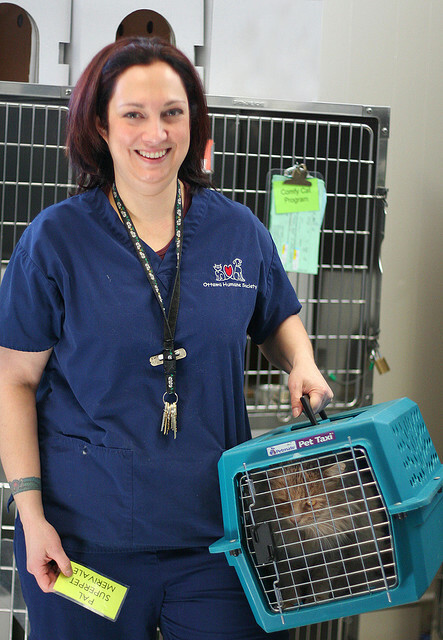 It is the OHS program that partners with local pet stores to help find more animals—generally cats—forever homes. Over 15,000 forever homes, since the program’s inception, in fact! Many people don’t like coming to our shelter, especially when we were at our old Champagne Avenue location. We would love it if everyone would visit our new West Hunt Club shelter, but recognize that it’s not for everyone. Our home may be far from your home; our hours not convenient; or like some people, being here may just make you a bit sad. PAL allows you to adopt from us at a store in your local area, rather than coming here and getting the “I want to take them all home!” feeling. It also relieves the space pressure resulting from as many as 45 admissions a day in our peak season! There are 15 PAL locations throughout Ottawa, and that number is growing as more partners come onboard. So, if you are looking for your new best friend and can’t visit us here, please be sure to go to your local OHS PAL location. P.S. The PetValu PAL locations are celebrating National Adoption Weekend April 14 and 15, and raising funds for the OHS and other animal welfare groups. Even if you're not in the market for a new furry friend, stop by your local PetValu and participate Pet Appreciation Weekend (PAW).